India is a developing country where the demand and dependency on electrical energy is high. Electricity has become inevitable part of our life. While we deal with electricity, we expose to hazards that can lead to incident of shock, fire & explosion which poses risk to human life and of property damage. 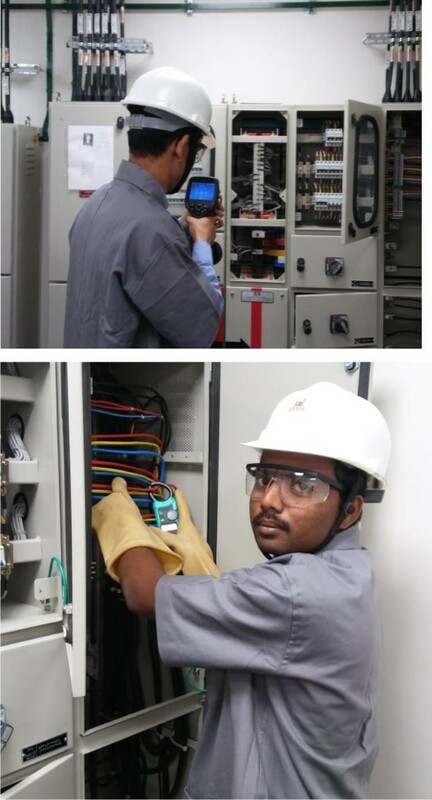 We have the team of competent electrical engineers with vast experience who help our clients to verify the status of electrical safety in their premises in following way. a) Compliance to Electricity Rules & Regulations in India, National & International Standards on practices & safety in electrical works through physical inspection & verification of electrical installation. b) If the activity of client involves hazardous goods, then our audit team carries out inspection of hazardous classified area and verifies integrity/suitability of installation & operation of Electrical Equipment / Panels/ Light Fittings etc. in particular classified area/ zone. c) Checking electrical panels, equipment & other installations for the probability of hazard like shock, over- loading, abnormal heating, arcing/ sparking, fire & explosion. d) Verification of earthing network for adequacy of size of earthing conductor, resistance to earth and checking magnitude of leakage current. g) Review of preventive maintenance system for electrical equipment, panels & other system elements which includes reviewing of SOP, maintenance record, test records etc. h) Review of safety systems & procedures such as Work permits, Lock-out Tag-out, PPEs, Emergency Response Plan, Fire extinguishers & its positioning etc. while on work in electrical system. i) Submit report with suggestions to act on gaps observed during audit. We also carry out Energy Audit to determine the status of energy conservation, equipment efficacy which helps our client to set new benchmarks in this crucial area.